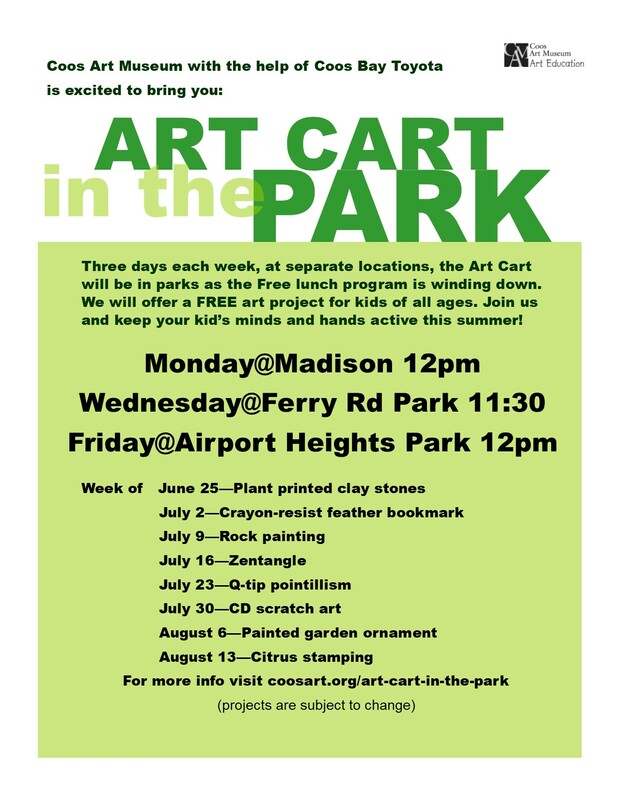 ART CART in the PARK is a free art program designed to serve children where they are. 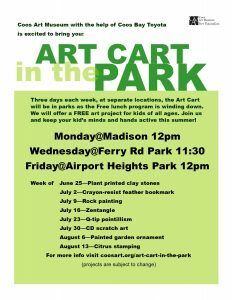 Three days each week, June 25—August 17, at separate locations, the Art Cart will be in parks as the Free Lunch Program is winding down. We will offer a free art project for kids of all ages. Join us and keep your kid’s minds and hands active this summer.